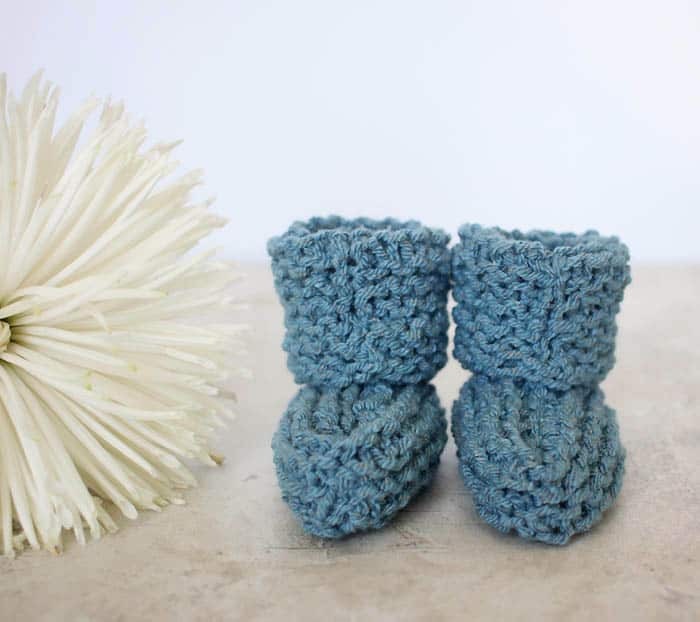 Hand knit baby booties are a thoughtful gift, but if you’re new to knitting they can be confusing to make. Tiny double point needles? Heel shaping? 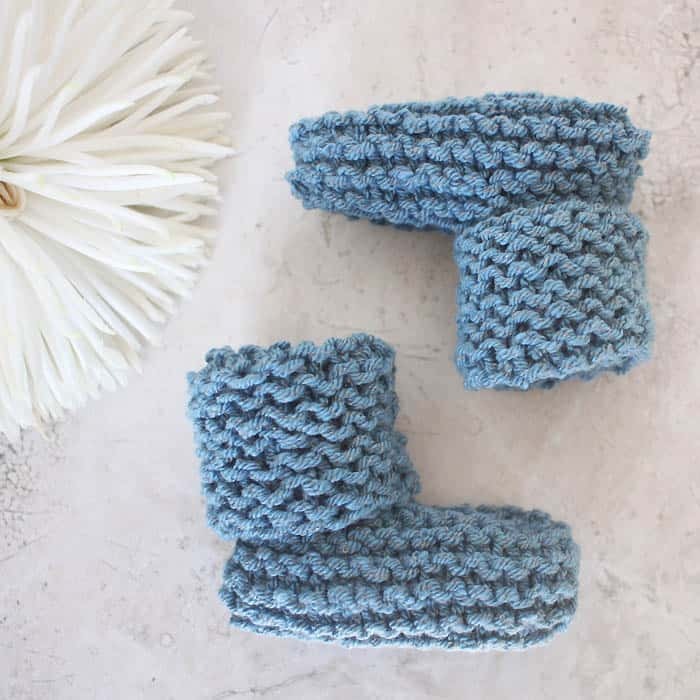 Not with this Easy Baby Booties Knitting Pattern! 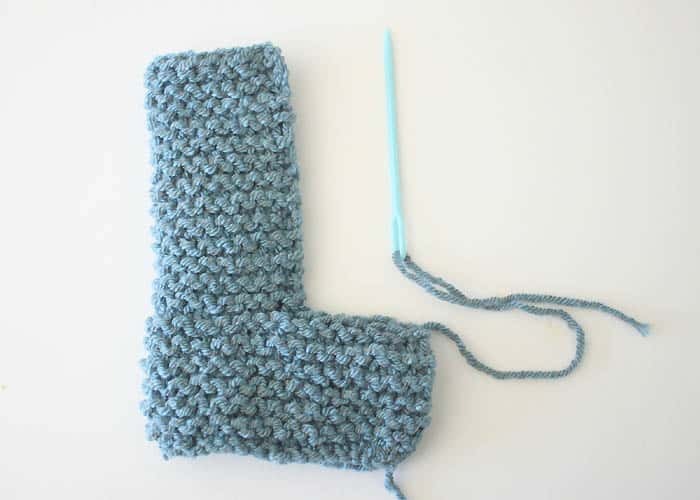 These are SO easy to knit and they only take about 30 minutes. 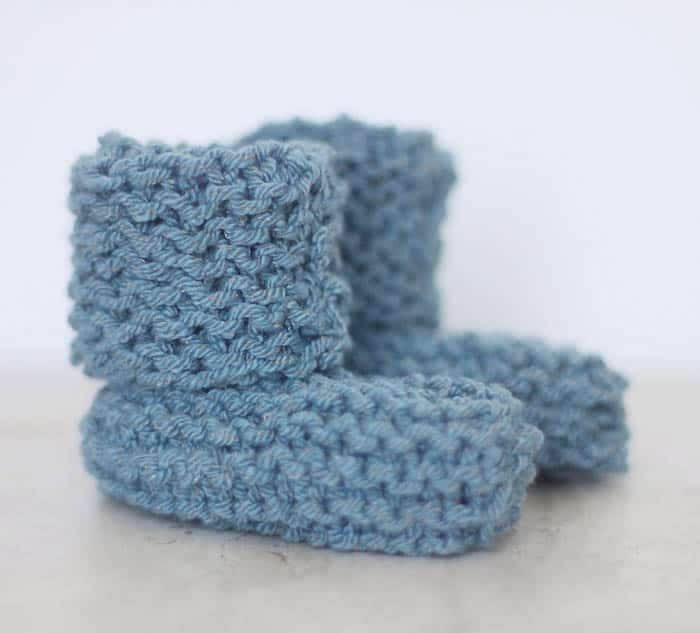 This Easy Baby Booties Knitting Pattern features a wide cuff that help them to stay on little feet. As long as you can knit stitch and bind off, you can make these! Row 12: Bind off 7 sts. Knit to end of row. Row 13: Bind off 7 sts. Knit to end of row. 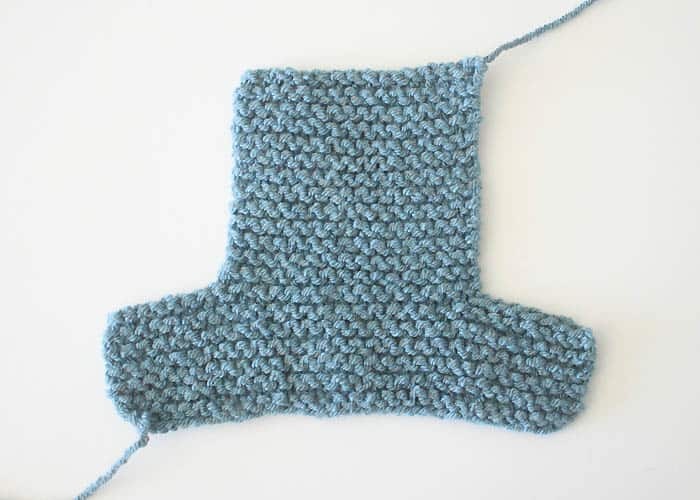 Knit in Garter Stitch until piece measures 4 inches from the cast on edge. Want more free knitting patterns? that conveniently prints on 2 pages. This is what the piece looks like when you are finished knitting. Fold the bootie over and sew the seam. Then, fold the cuff over. Teenage Mutant Ninja Turtles Hat Knitting Pattern- Perfect for Halloween! I think even I can make these! 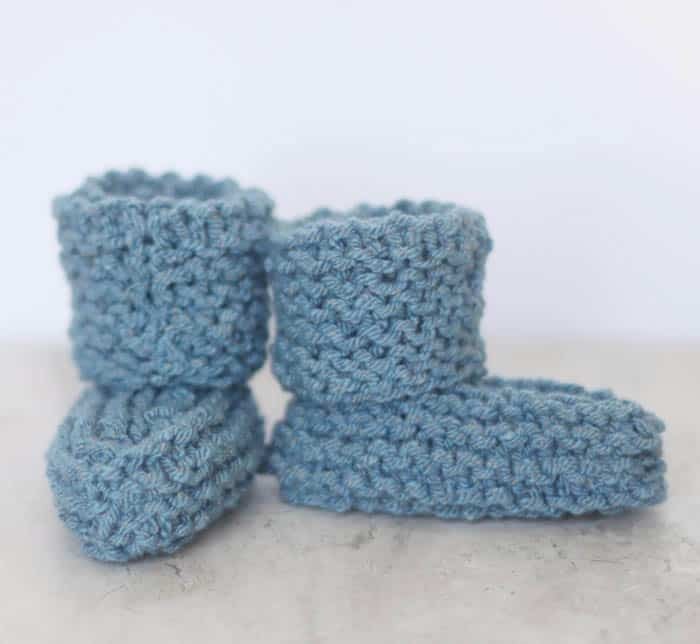 all of your baby bootie patterns are SUPER! thank you!